Map of prisons and places of exile. 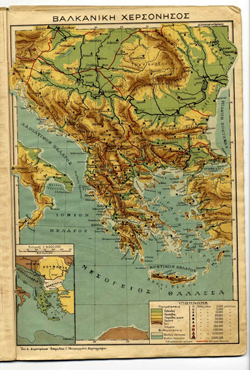 Geopolitical map of the Balkans published in 1929. 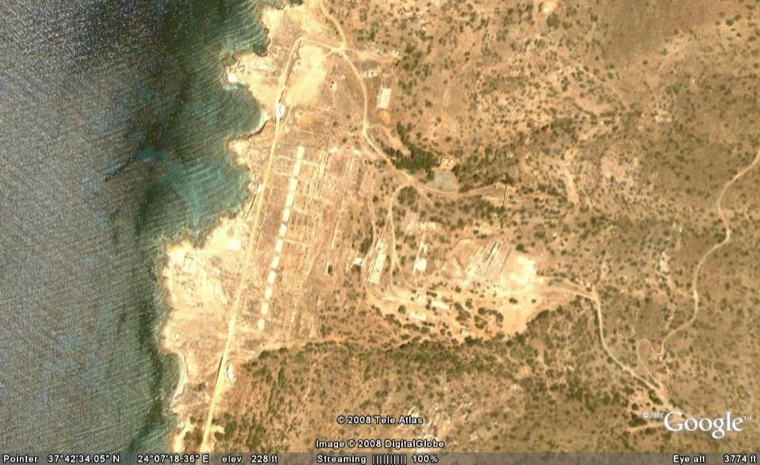 Kavala General Archives, published here with permission. 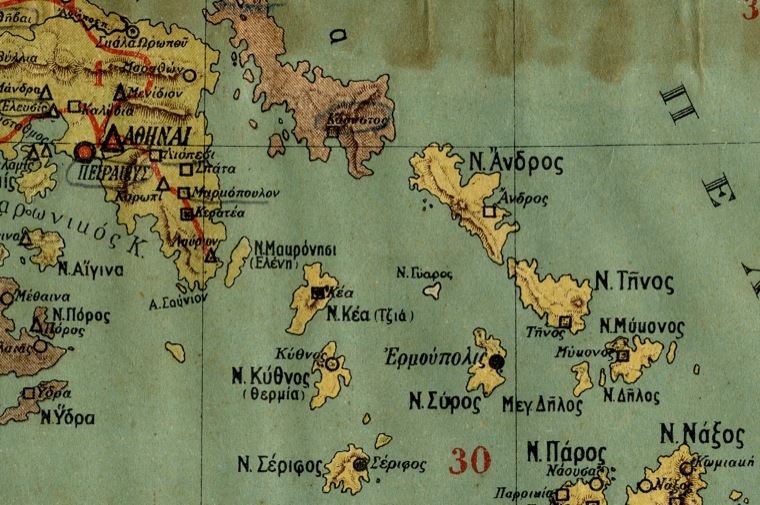 Administrative map of the greater Athens area published in 1929 showing Makronisos (off the coast of Lavrion) and Yáros. Yáros is erroneously marked as Yýaros on the map. 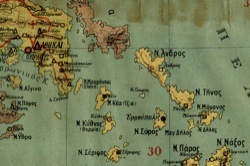 The map also shows places of exile used from 1929 onwards: Kythnos, Seriphos, Naxos, Tenos, Andros, Karystos (on the southern tip of Euboea) Poros, Methaina, Aigina, Naxos, Skala Oropou (on the upper left segment of the map), Kea (Tzia), Mykonos. 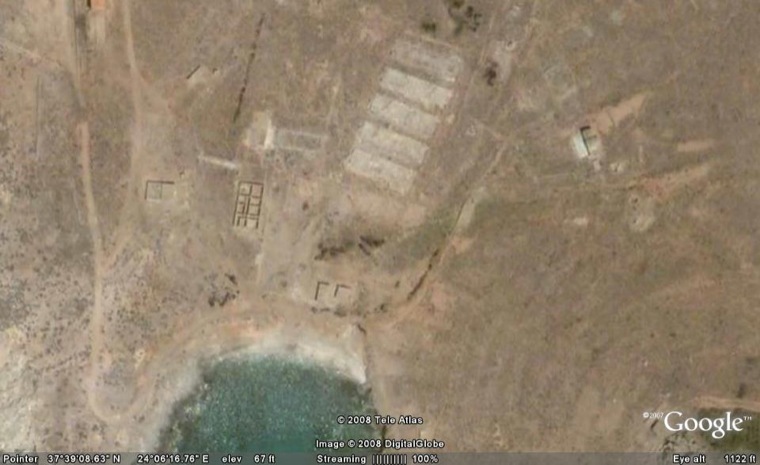 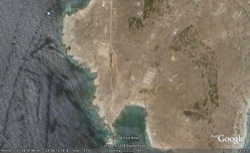 It also shows the circle formed by the Cyclades around the ancient sacred island of Delos. 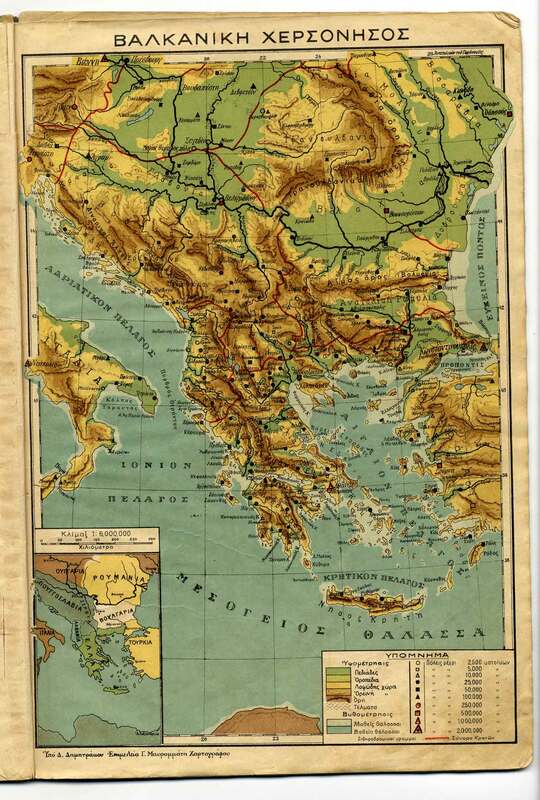 Published with permission from the Kavala General Archives. 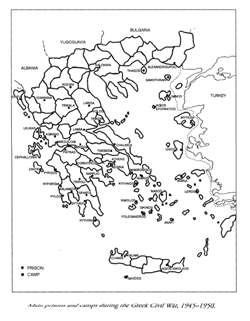 The map was prepared by Polymeris Voglis and was originally published in Voglis 2002, facing p. 89. 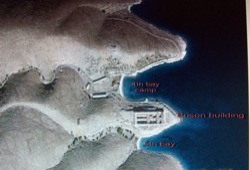 It is a map of political prisons and concentration camps for the five-year-period between 1945 and 1950. 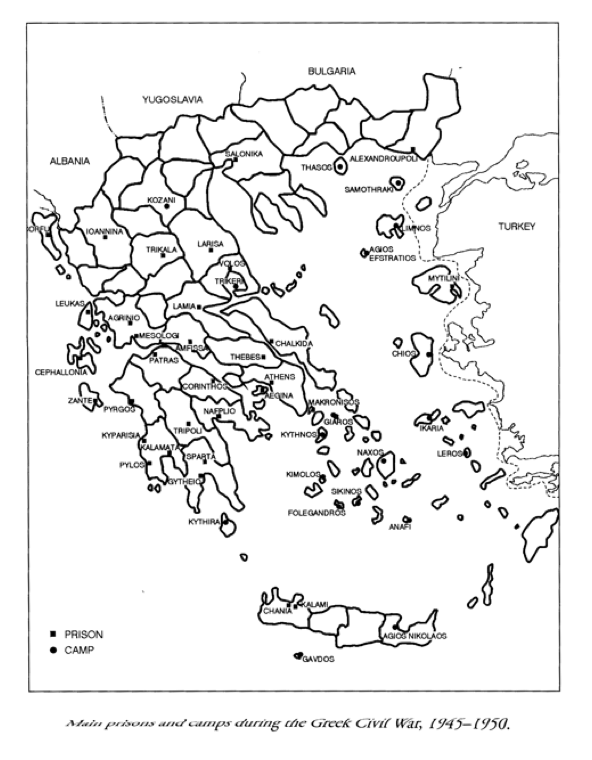 It does not include places of exile (such as Andros, Poros, Methana, Thera) that the Greek state used from 1929 onwards. Published with permission from the publisher. 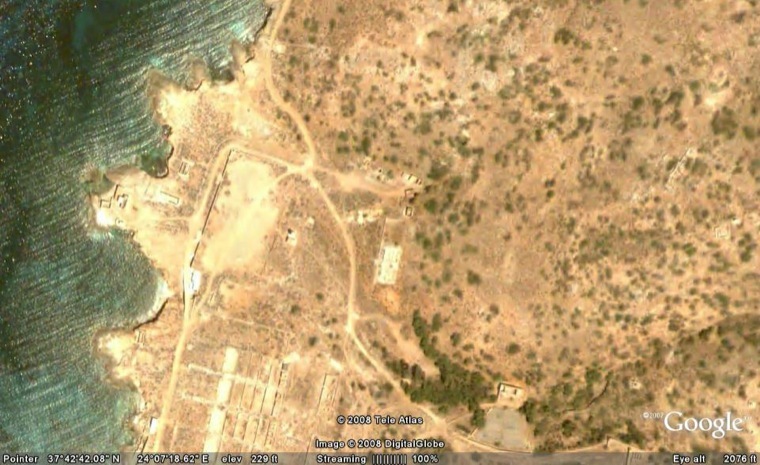 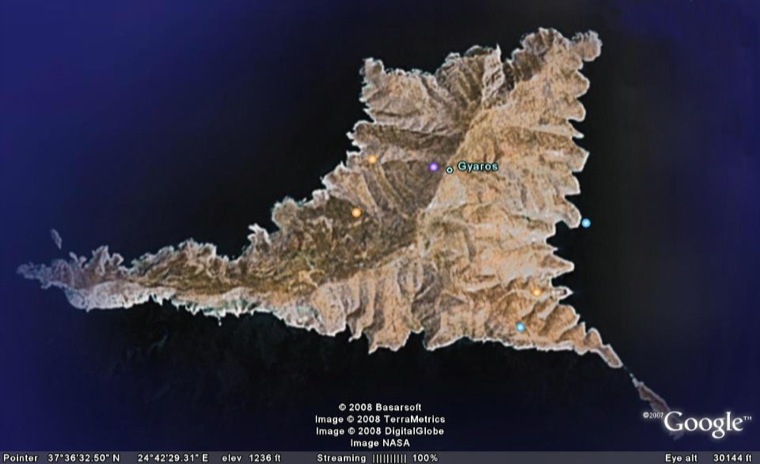 Google images of Yáros island. 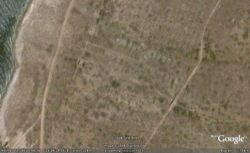 Note the dryness of the environment. 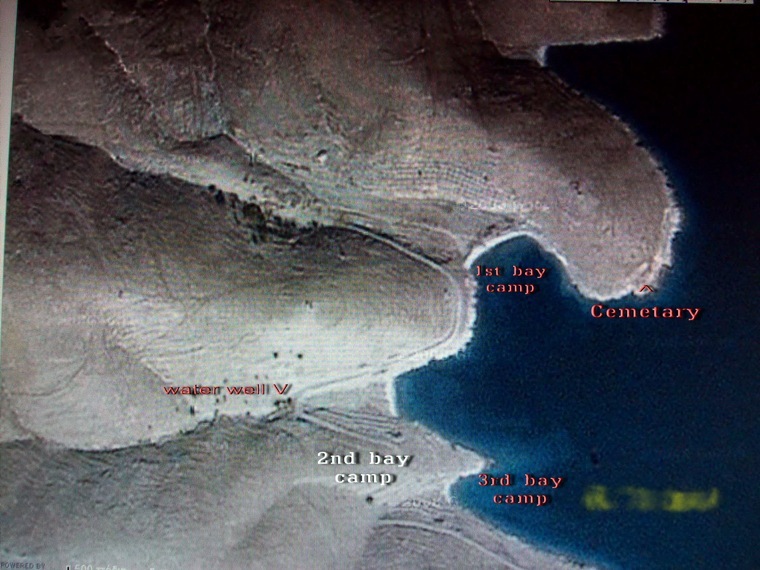 The location of the Five Coves is noted on images 3 and 4. 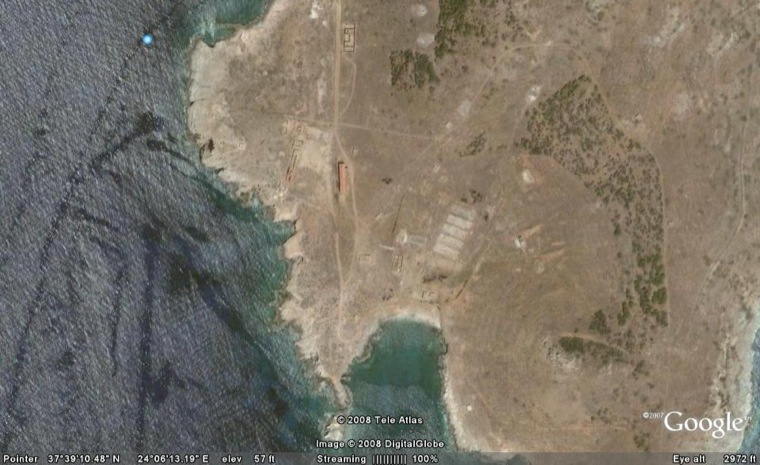 I am indebted to Apostolis Papageorgiou who located and sent me images 3 and 4. 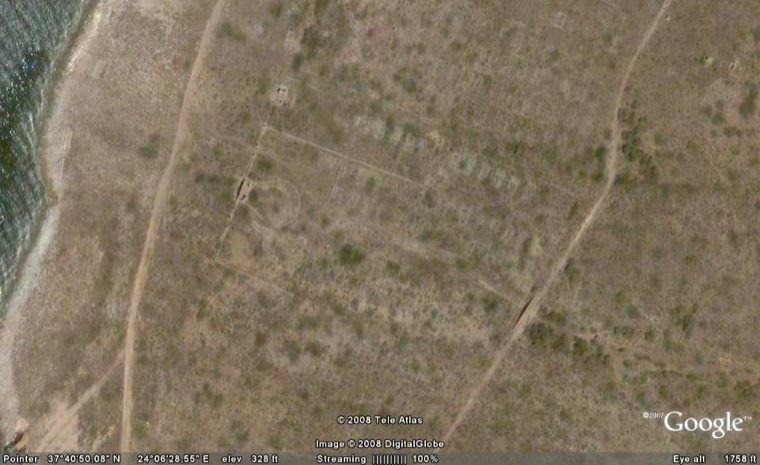 The remnants of the B’ Battalion of Sappers. 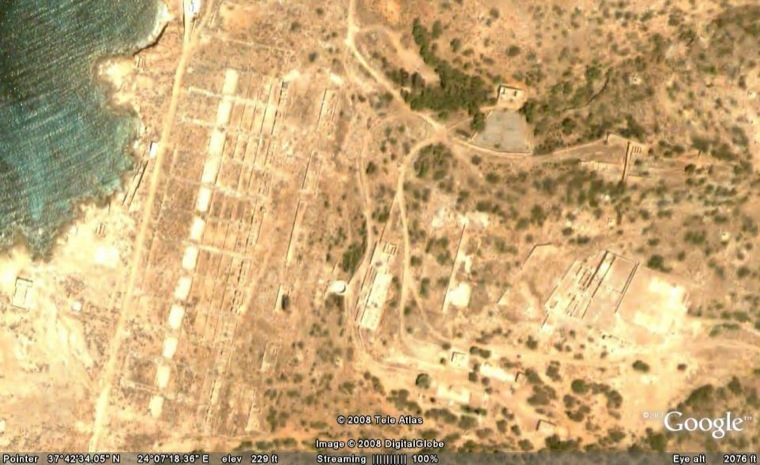 The remnants of Third (Γ) Center of Officers. 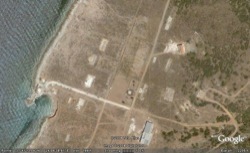 The Remnants of the Military Prison (SFA). 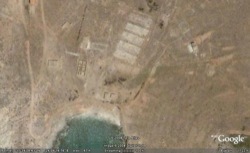 A larger image of the remnants of the Military Prison (SFA).